With Valentine’s Day just around the corner, many of us will start thinking about ways to express our love for our partner. Some of us put a lot of thought into how to best approach February 14th, but if we are honest, many of us find ourselves waiting until the last minute…feeling frustrated and confused about what to do for our loved one that will best express our affection. The pressure that many of us feel to make Valentine’s Day special is made even worse by the commercialism that has come to dominate our society – leading some to spend large sums of money trying to shower their significant other with gifts in order to express their love. But sometimes, even when we put a lot of thought and effort into it, our attempts to show our partner how much we love them seem to fall short of having the impact we had hoped for and imagined. In my work with couples as a Marriage and Family Therapist, I have found that many times this is one of the leading factors that contribute to a person feeling disconnected from their partner. 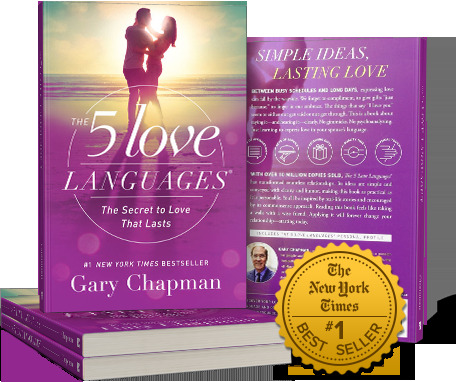 In his bestselling book,“The Five Love Languages”(*aff), author Gary Chapman describes the dynamic that leads to this relationship issue and how to overcome it. Chapman presents the idea that there are five primary ways in which individuals express and receive love. He describes what these love languages; Words of Affirmation, Quality Time, Receiving Gifts, Acts of Service, and Physical Touch are and how they present themselves in our lives. He believes that these ‘languages’ of love are hardwired into our being – likely from childhood – and that they are largely fixed elements of our being. Additionally, he notes how we tend to receive love in the same way that we are wired to give love to others. So when we are in relationships, we most easily recognize expressions of love from our mate that aligns with how we are naturally wired to express love ourselves. But problems can arise for a couple whose primary love languages are different. Imagine for a moment that you approached your partner for the first time and proclaimed your love and affection, only to find out afterward that they couldn’t understand what you said because they speak a different language. You speak English, they only speak French. The expression of love was still there and genuine, but it couldn’t be understood or appreciated. Chapman states that this dynamic leads to a situation where one or both romantic partners feels unloved, uncared about, and neglected. Their “love tank” becomes empty, and they become increasingly disconnected from their partner. But just like it is possible to learn a foreign dialect, it is possible to learn to speak your partner’s love language. Gary Chapman’s book does a great job of teaching couples how to recognize their own and their partner’s love languages and how to speak those languages so that both of you feel more connected, cared about, and loved. I highly recommend you pick up a copy here(*aff) – maybe even give it to your mate for Valentine’s Day with a note telling them that you want to learn how to speak their love language! If you and your partner think you may need additional help in reconnecting and restoring that love in your relationship, please contact us at (860) 454-7454 or by clicking here, to set up an appointment with one of our clinicians.